With exam season over at last, it is finally time for students to put the anxiety and pressure of studying behind them and take some time to laugh at the funny parts of high school and university exams and papers. 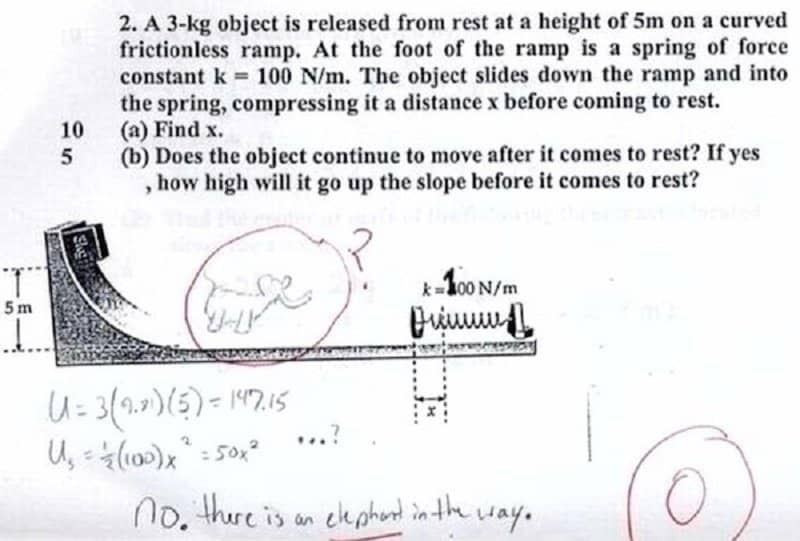 Students often take a risk on questions that they are unsure on, and try to appeal to their professor’s sense of humor. Sometimes it works, and other times it doesn’t. Thankfully, most of the time it ends up on the internet! 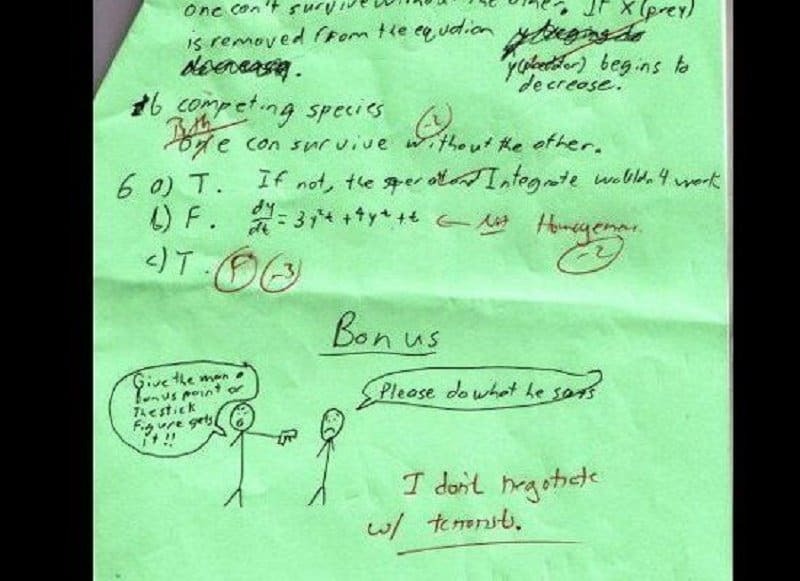 This list is a hilarious compilation of the funniest things that students have put on their tests and exams. It’s actually incredible how easily points can be earned by a crappy drawing of a cute animal! 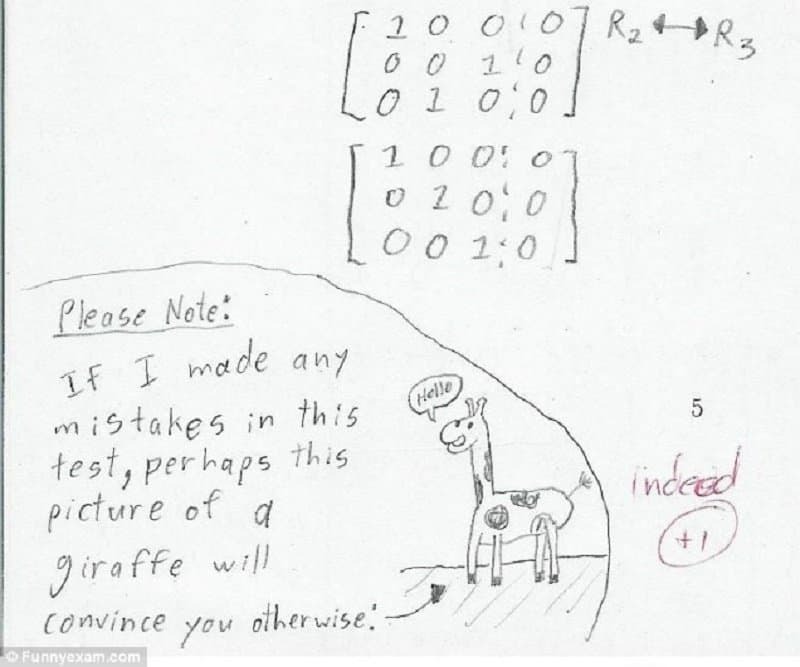 The most interesting thing about this one is that the student answering the question actually hit the nail right on the head with their answer. 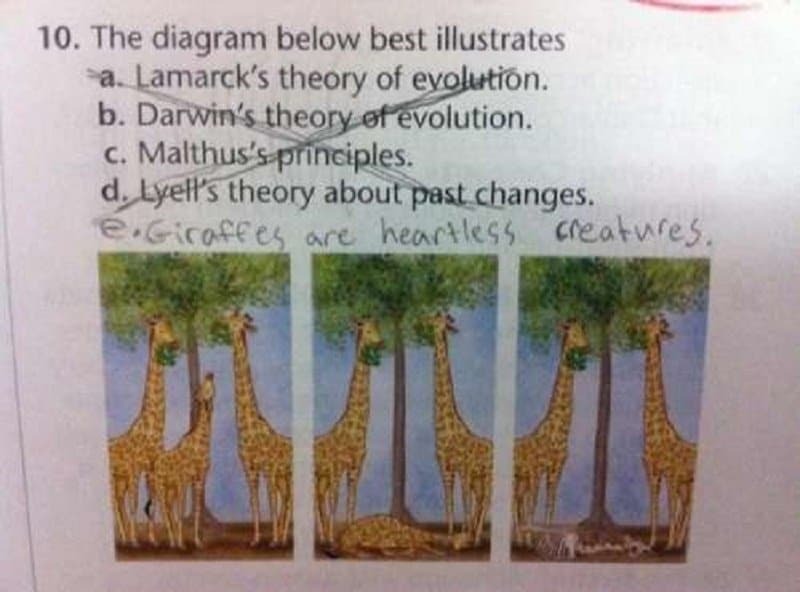 This is proof that there is always another option – and also that giraffes are terrible animals and not the cute drawing that was portrayed earlier. Everyone knew that global warming was having a major effect on Arctic animal populations, but they didn’t realize it was this bad. 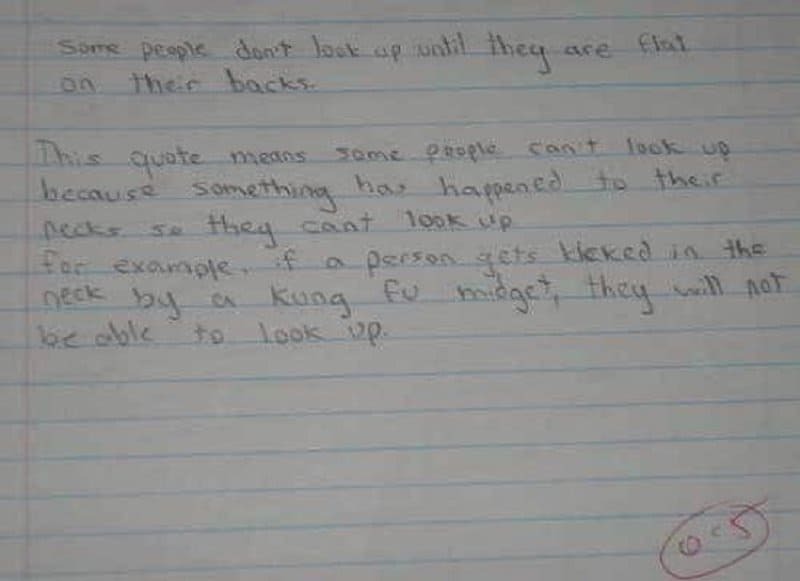 The funny thing about this answer is that it was still worth half a point. 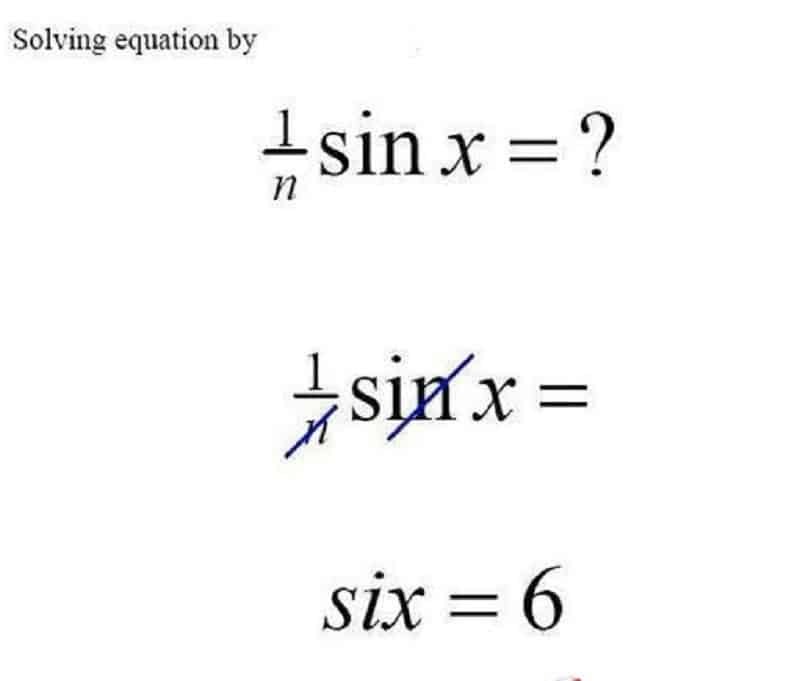 Further proof that any answer is a good answer. 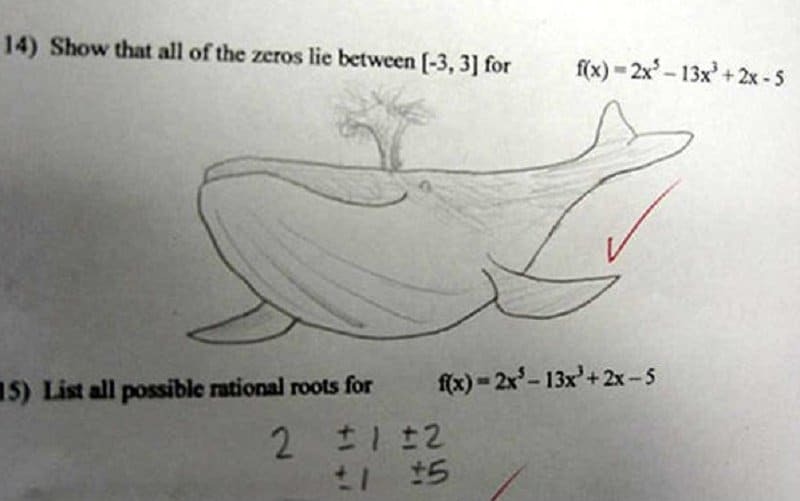 The reasoning behind drawing the whale may be uncertain, but one thing’s for sure – this teacher liked the whale. 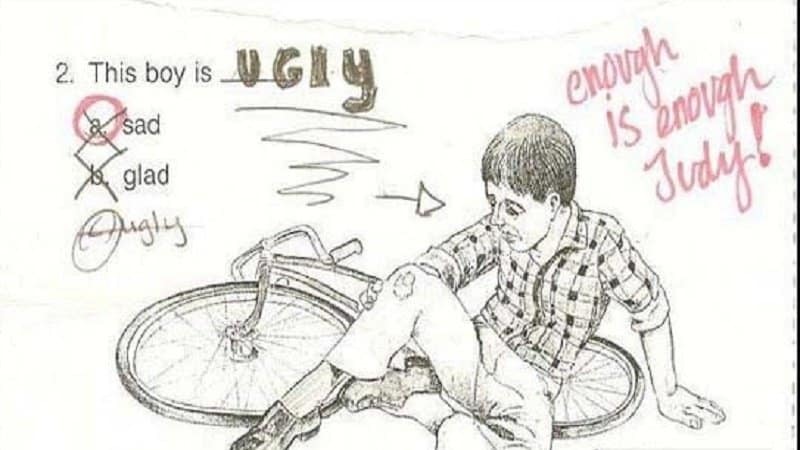 This was probably a really hard decision for the teacher. When all else fails, there’s always elephants!